Thursday, April 25 from 6 – 10 p.m. Some people may look at a stack of wood planks, twisted metal, and old home fixtures and wonder, “What good are those?” To artists and visionaries, however, they see potential and possibility. Upcycling old materials into beautiful new forms has been a growing trend in contemporary art and design. It’s also the central theme to AMORÉ, an upcoming exhibition and auction about to make its debut on the Cincinnati arts scene. 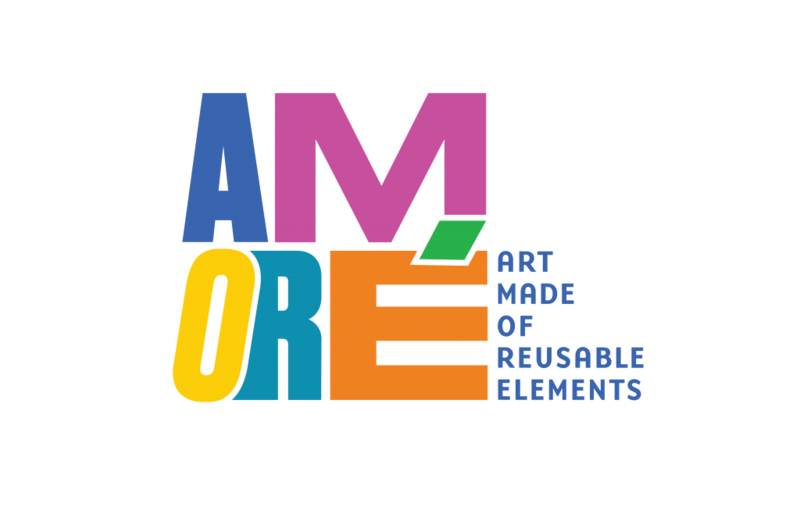 AMORÉ is Art Made of Reusable Elements. The event at Rhinegeist Brewery on April 25 will feature unique art and home décor created by some of Cincinnati’s top artists from reusable and recyclable materials. Much of the material the artists will use will be sourced at Building Value, a retail outlet in Northside that gives salvaged building materials new life. Building Value, which celebrates its 15th anniversary in 2019, obtains these reusable materials through contracted deconstruction services and donations. Deconstruction is an environmentally-friendly alternative to standard demolition. Building materials are manually removed for reuse or resale, rather than going to a landfill. Building Value, a social enterprise of Easterseals, uses the deconstruction program to provide workforce development to people facing economic challenges. They receive on-the-job construction skills training and a second chance to build up stable, sustainable careers. The art created for AMORÉ evokes the spirit of Building Value’s workforce development and the beauty of second chances. In Building Value’s 15 year history, more than 400 people have found employment and more than 20,000 tons of salvageable material has been diverted from landfills. AMORÉ will feature Rhinegeist beer pairings with food from some of Over-the-Rhine’s most popular restaurants, including The Eagle, Bakersfield, Krueger’s Tavern, and City Bird. The eclectic band Anna and the Deeper Well will perform live. And, the best part, all of the unique art created for AMORÉ will be available to purchase at auction that will be conducted online through a mobile bidding platform. Tickets to AMORÉ are $75 and can be purchased online at BuildingValue.org/AMORE. Proceeds from the event and auction will benefit Easterseals and its programs, including Building Value.